Smiling is such a simple act. So simple that even babies do it while they’re still in the womb. Although effortless, smiling is actually a pretty powerful action. 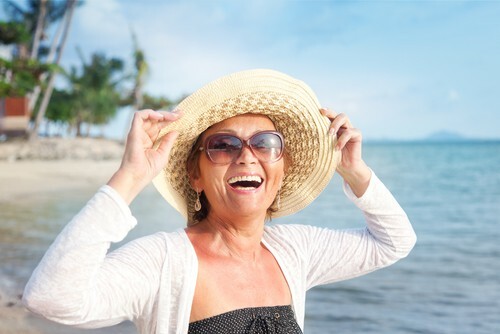 At my Alexandria dental office, we know that the easy act of smiling can actually make quite an impact on your health and the health of others. There’s a whole science behind what smiling does to our confidence, our happiness, and our overall well-being. When you smile, your body naturally produces antibodies and boosts white blood cells. These two things in combination with each other are key to a healthy immune system. Smiling also affects our brains, causing it to pump out more endorphins to make us feel happy, and serotonin to relax us. A smile is contagious. Numerous studies have shown that when humans see another person smiling, we experience a natural, subconscious reaction to smile back. So when we smile, those around us smile too and, as a result, reap all the health benefits of feeling happier and more relaxed. Smiling is also universal — it knows no boundaries and there are no cultural or language barriers. It means the same thing in every country. It’s one thing we can use to help everyone around us, no matter where we’re from, what language we speak, or what background we’re from. That’s some pretty powerful stuff. Don’t Like the Way Your Smile Looks? Nobody should be afraid to smile. If you’re ready to learn more about how cosmetic dentistry can help you get a smile you’re proud to show off, call my dental office in Alexandria to schedule a consultation today. Accepting new patients from Alexandria, Old Town, Del Ray, Potomac Yard and beyond.